NIPTE Outstanding Student Research Award – The National Institute for Pharmaceutical Technology & Education, Inc.
Pharmaceutical Biotechnology and Nanomedicine”. During her masters program, she had the unique opportunity to work as an intern in the formulation team at Acetylon Pharmaceuticals and in the PK/PD department at Takeda Pharmaceuticals. After graduating from Northeastern in 2015, Ms Shetty joined Purdue University’s PhD in Pharmaceutical Sciences program. 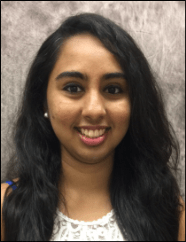 Currently, Ms Shetty is a third-year graduate student in the department of Industrial and Physical Pharmacy working with Dr. Tony Zhou in the area of pharmaceutical manufacturing and particle engineering. Her current research focuses on combating the respiratory infections caused by multidrug resistant ‘super bugs’. She developed a novel combination powder formulation of colistin and ciprofloxacin with combined benefits of high aerosol efficiency, synergistic antibacterial activity and moisture protection.